One of the big draws for many to purchasing a Disney Vacation Club Membership is the ability to use your points to set sail with Disney Cruise Line or take a tour with Adventures by Disney. When I purchased my contract way back when, I definitely liked the idea that if I tired of going to Walt Disney World at some point in the future, my investment was still good because I could use my points to vacation all over the world. I later learned that there were some flaws to that logic. First of all, I became a DVC Member 14 years ago and I love going to Walt Disney World more now than ever! Which is a good thing, because that leads me to the second flaw in my logic. While it is indeed possible to use points for things like cruises and trips around the world, I quickly realized that my points were much more valuable when used at DVC resorts. In fact, I found that in some cases it was as much as 50% more costly to use points over cash for things like cruises. Let me explain. This morning I pulled up the Disney Cruise Line site to get the cash price for a 4-Night Bahamian Cruise on the Disney Dream, August 3, 2014. The quoted price for a Deluxe Inside Stateroom was $2692.44 for two guests. When booking with a travel agent, there is usually an onboard credit of at least $25 or more, so let’s just round off the total to $2667 for the purpose of this comparison. Next, I checked to see how many points it would take to book the same cruise. That Deluxe Inside Stateroom would be 306 DVC points for two guests. In addition, there is a $95 cash fee that must be paid. Now, that doesn’t sound so bad, until you factor in the value of the points. At this time, we pay DVC members $11 per point to rent their points. That means those points would bring me $3366 if I were to rent them out via our services at David’s Vacation Club Rentals. Add to that the $95 fee and the cash equivalent of using points for this cruise is $3461 – which is $794 more than if I paid cash for the cruise! Paying cash is normally a 30-50% savings over using points, depending on when you go, your cabin choice, how many are in your party, and how far in advance you book. I can think of a lot of ways to have fun with all that extra money! To begin with, if you purchased your contract on the resale market after March 20, 2011, all of this is moot because Disney doesn’t let you use your points to book a cruise. If you have to cancel your cruise for any reason, those points can only be used to book another cruise in the future – you can’t use them to book a DVC resort. DVC doesn’t have access to all the rooms, so there are fewer rooms to choose from. Rooms allocated for DVC point bookings often fill up before the cash rooms. You can’t use points for a cruise during the last 4 months of your use year. If you only pay part of the cruise on points, the rest of the payment is due at the time of booking. If you make a cash reservation, you can put down a percentage and pay the balance later. If you booked with points and need to add a person to your room, you will be charged an additional $95 fee. For all these reasons, it’s just not a good idea to use points to book a cruise. The much better option is to rent out your points, use the cash you receive to book your cruise, and pocket the difference. It makes me cringe when I hear people say they used their points to book a cruise because they had points, but didn’t have cash. Turning your points into cash is ridiculously easy when you let us do the work for you. We are accredited by the Better Business Bureau and our full-time team of staff has been making it easy for Members to rent their points since 2005. Check out our Member page or give us a call at (800) 610-5791 (Monday – Sunday, 9:00 a.m. to 5:30 p.m. EST) for all the details. 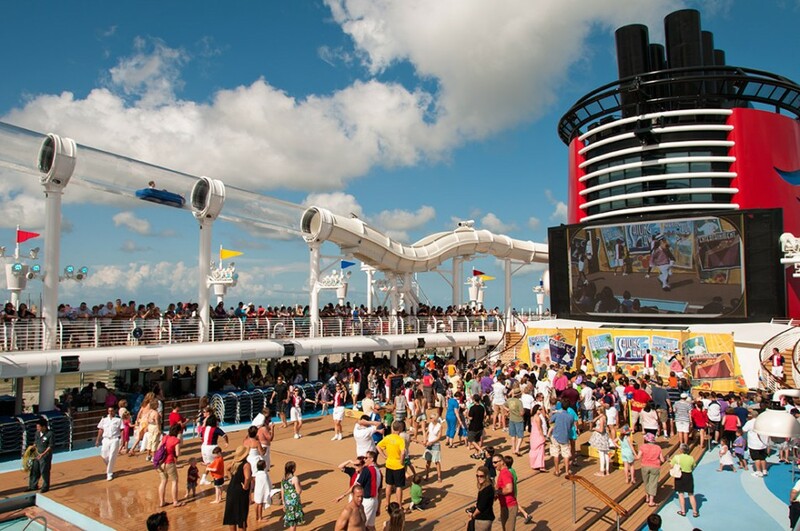 3 thoughts on "DVC Members: Save Money on Your Next Disney Cruise"
Ted Payton – check this out! wow, great and informative blog! thank you! And don’t forget, if you’ve cruised before and booked onboard, you’ll get ten percent off that next cruise plus up to $200 onboard credit. The savings keep racking up.